Our client distributes his goods to tens of thousands of B2B customers. He uses a number of regional logistics partners for last-mile deliveries. After changes in the top management of the company, there was a need to optimize logistics. The focus was on the efficiency of logistics network with regard to localisation of customers and service in individual regions. Management´s request was to reduce the number of logistics partners and enlarge the areas serviced by each partner. Our task was to perform analysis and suggest a solution. A major challenge in this optimization project was the large number of customers and the amount of data entering the analysis. We were looking for a way to process all data inputs into an easy-to-read form. An interactive map of the country has proven to be the most appropriate solution. We created our own vector map. The vectors in the map represent micro-regions corresponding to ZIP codes of individual regions, major cities and other infrastructure elements such as highways and major roads. Each vector corresponding to the area of ​​a particular ZIP code has its internal code. It enters the calculations needed to analyze sales and logistics data for each micro-region. This allows the vector map to display any data that can be related to a ZIP code or other geocoding parameter. We automated all the calculations. We performed analysis of sales data for each customer, shipment data for each transportation company, financial data and more. The map enables the user to look at the regions from different points of view in one place. This type of presentation is essential for understanding such a complex set of data. Data from a network with tens of thousands of customers simply cannot be presented in generic tables and charts. Based on the results of the analysis, we created a new logistics network model. The client wanted to maintain co-operation with some of the existing regional logistics partners and, on the contrary, wanted to find new companies for some regions. The analysis provided insight needed for the determination of the ideal regional centres for delivery to customers. In these centres, we together with the client verified possible logistics partners, who were able to ensure distribution to customers in the assigned region with regard to the volume of customers and customer habits (for example, delivery time). The resulting model contained predefined regions for each transporation company. Some of the regions expanded the area for current partners and other regions were left for new partners. In order to make it easier for the client to switch to a new model and collaborate with logistics partners, we also analyzed the profitability of individual areas within each region. The key criteria here was the distance of the area from the regional centre and the state of the infrastructure in the region. We divided the areas within each region into four categories with different pricing rates according to the distribution profitability for the logistics partner. The created interactive vector map may be used by the client in a variety of other projects which use data that can be linked to geological criteria. The map can, for example, visualize sales volumes, sales value in each micro-region, cost of logistics in an area, average cost per customer and much more. In addition, the map can be easily transferred into any presentation. Thanks to our extensive experience in optimization of logistics and network modeling, we can work together with our clients on different types of projects. 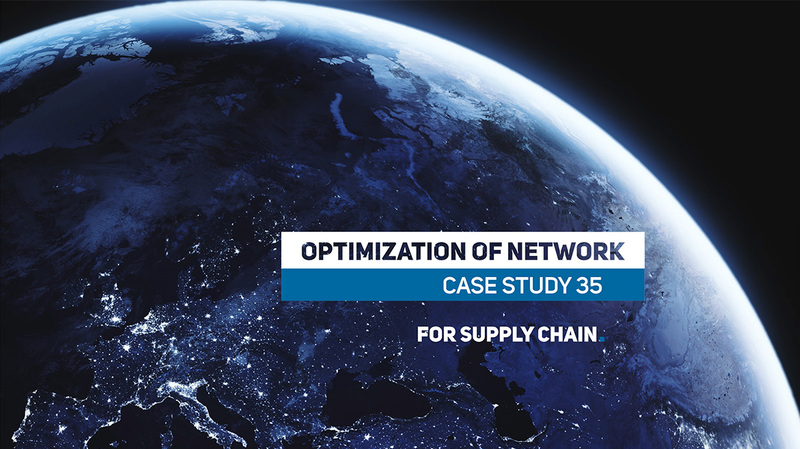 Our other case studies in this area include a Complex Network Study or Optimization of Regional Distribution.